Joining the Remington Society of America is easy. The cost for your first year membership is $50 for those residing in the United States. Thereafter, the annual membership dues is $45. 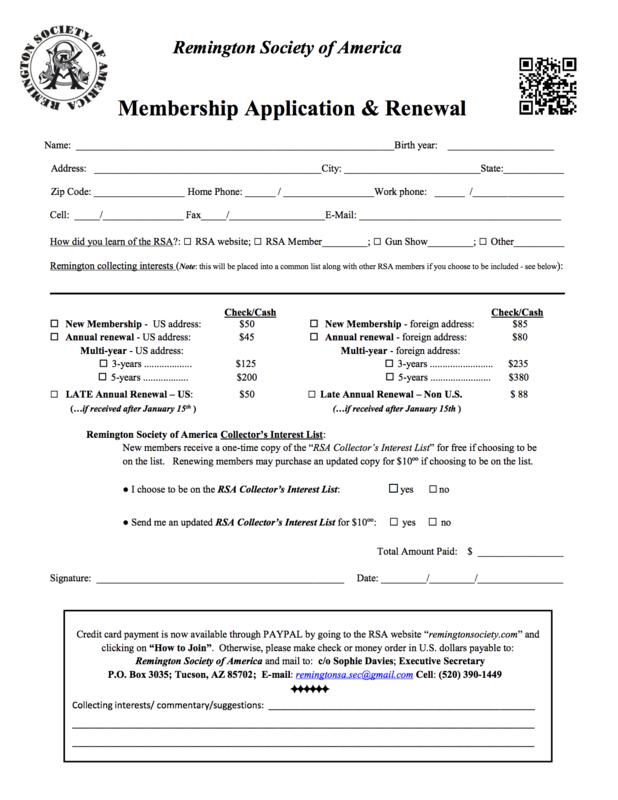 The membership cost for those residing outside of the United States is listed on the application printed below. 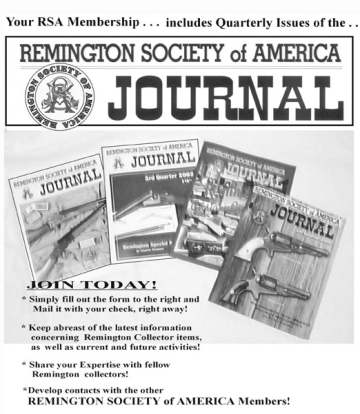 Membership in the Remington Society includes four issues of the Remington Collector Journal, an invitation to attend the Annual RSA Seminar, and introductory RSA materials. Membership is on a calendar year basis only (Jan. thru Dec.). But, you miss nothing for the year by joining at anytime. Late subscribers may request startup the following year if preferred. To join, print out the following application blank.